Hey guys, I recently bought a second hand iPhone 7 128 GB this week. The experience has been great so far and I am currently using it as a daily driver over my newer Samsung A5. The phone is on iOS 11.4 and is running smoothly, however I have a question about the battery life on the device. The battery health is at 83% as of today, and it’s been through a few charge cycles but the battery life seems to be random. I am writing this at 4:41 am and I took my phone off charge at about 3:56am. The battery has went down 5% (100-95%) in that length of time (45 minutes), but last night, the phone pretty much instantly went down from 100-99% and drained 16% overnight (to 83%, then jumped approx 5-6% during light usage over a 10-15 Mom period and kept falling at a rapid rate the rest of yesterday). What is happening to my phone? Why is it acting like this and not falling at a steady rate? Why can it hold charge some times and not other times? I’m charging this phone normally and using an official Apple dock and Lightning Connector and not “overcharging” the device overnight or for long periods of time. Is the charging process random? Is the battery meter random? What’s up here? Interesting. Well my iPhone 7 after 17 months is at 92% battery health and overnight if left at 100% and unplugged I usually lose around 10% for battery drain by morning. Of course I have 66 apps on my 7 and usually over 150 message notifs by morning (that’s the price you pay having 17.5 thousand twitter followers lol. But yeah it sounds like yours has been through some heavier use. 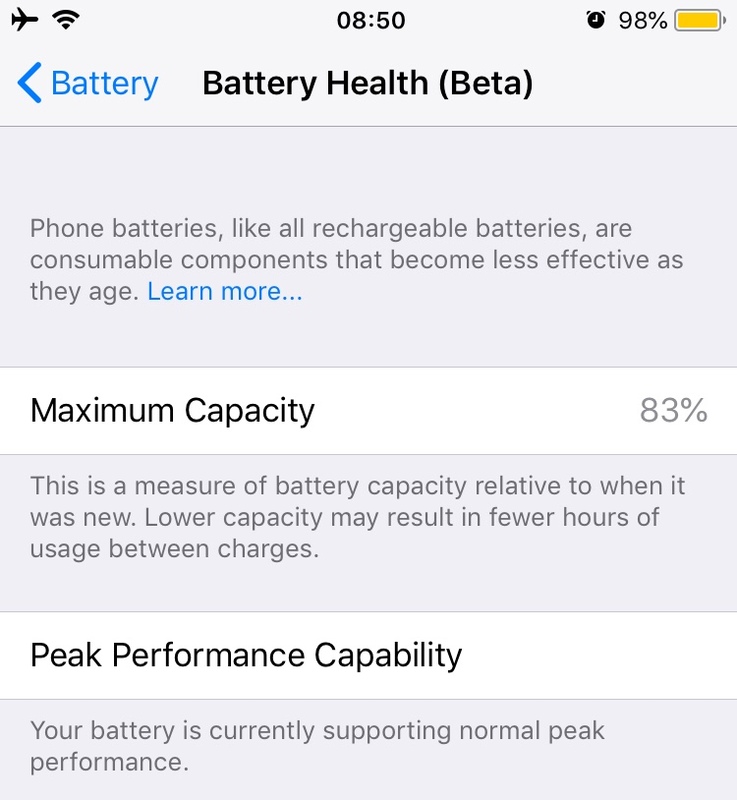 Apple apparently doesn’t consider the battery necessary for replacement until you hit 80% battery health......if I recall. As for the random and sporadic characteristics of your battery, well I will let someone with more knowledge tackle that. This has 42 apps on it. Last night, I left the WiFi on (I put it in airplane mode the other night and I fell asleep with my phone on lol) and it drained around 15-17% overnight (compared to the 13% previous). Yeah. I am thinking that someone who’s a teenager/mid 20s had this phone before me, judging by the usage. So yeah. Should I just wait it out until it wears a bit more and let Apple do the replacement for me rather than do it myself? It’s probably cheaper to send it off at the moment than buy the kit, but you’ll always have the kit. On my previous iPhone, a green 5C that I had I think for about three years, I did pay a private Electronics repair shop $50 to change the battery and they did it in 20 minutes while I waited outside in the car. They showed me the old battery and I guess they’re glued in pretty tight because it was all bent and mangled when they showed it to me LOL. That battery that I got as a replacement was just a Chinese cheapie I assume because it didn’t have the Apple logo on it like the original one did, if I recall but I remember saying I hope it’s an Apple battery and they said “well they’re all made in China anyway”. Then I did more research on it and I found out that on some of the generic brand batteries the walls of the battery could be very thin and more prone to breakage or leakage in the future so I would probably go through Apple and get the actual certified battery. The battery I did get was pretty good I never had any problems with it after seven or eight more months of using it but I member being a little concerned at first because it ran really hot sometimes when I charged it but nothing ever happened. When it came time to trade that phone into work my iPhone 7 in March 2017 I told them to make sure they put a note that it’s got a very good brand new battery in it ha ha, most 5C owners probably NEVER would bother changing the battery. by then the device was getting pretty slow to load apps so I don’t know if I would ever do it again. I don’t know if I will bother getting a new battery in my iPhone 7 because if I could squeeze two years out of it, the iPhone X replacement is coming out this fall so that might be interesting to consider. Yeah. 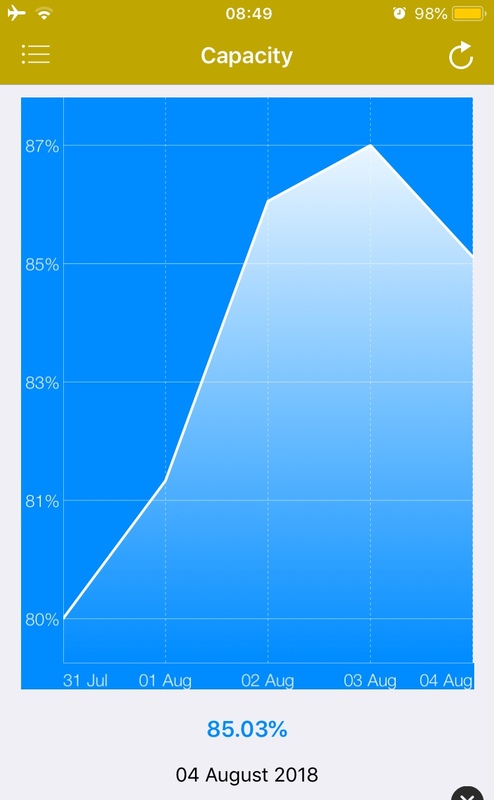 I think I would go through Apple too, if my battery became even more degraded and unusable. I mean, some batteries aren’t too bad but I guess it’s better to get the original replacement considering the amount of money you paid for the device in the first place and the fact that some of the non official batteries could end up being dodgy after a while. I guess it’s a risk you end up taking. Although I like the concept of the iPhone X(especially the “budget” version lol) I think the iPhone X would be kinda big for me, especially the concept of the X Plus. I’m finding the 7 very comfortable to use and light to carry around and hold. I would love them to make an upgraded iPhone SE but that seems unlikely any time in the near future lol. We will see what happens though. Overnight drain can be a number of things. Emails that come during the night use push notifications, etc. I wouldn't worry too much about overnight drain. You could try swiping suspect apps out of multitasking before bed. Mine varies. I go to bed with 100% charge. Sometimes I wake with 99%, other times as low as 70%. No clue. LOL Battery Health I'd pay more attention to. If that's going down fast, you may have a weak battery. Mine is at about 70% health. JamieInsanity and Just_Me_D like this. Yeah. I have push notifications disabled for both email and gmail because they are both pretty annoying at times and I check the gmail app pretty regularly anyway. I am going to use the phone for a while and see if it settles into more of a steady battery rate. If it doesn’t then it might be a week battery like you suspect. Yup, I read that the 7 is lighter than even the 8. Aluminium is a lot lighter than 2 sheets of glass that the 8 has. Was seriously considering an 8 recently because it will probably be he last iPhone with a beloved Home button, and I hated gestures to navigate when I played with the 10 before, but after getting a Blackberry Playbook that a friend didn’t want I learned to appreciate gestures more. If your battery health is ok, you shouldn't have a weak battery. 83% battery health is good. I think it's just what all goes on that uses battery. I wouldn't worry about it. Enjoy your iPhone. If you start turning things off, you won't enjoy your iPhone as much. This phone is great from the lightness point of view. It feels even lighter than the SE and just as portable. Hoping it’s still as light with the new case, lol. I was thinking of the iPhone 8 for the wireless charging but honestly, plugging this phone into the dock is as good as anything but I can always save up and buy an 8 when the prices drop. Next year sometime. Gestures would take me some getting used to, to be honest. I’m still getting used to the features on this phone. The reachability is fun to use when you don’t wanna move your hands from the centre lol. And the space bar trick is cool too. So is sliding along the track pad to open up the control centre. I don’t have these things on my Samsung or SE, only the physical home button so when I try to use them, I keep forgetting about the controls and lack of 3D Touch. Heck, I even try and swipe up from the bottom to open the Samsung control panel lol. 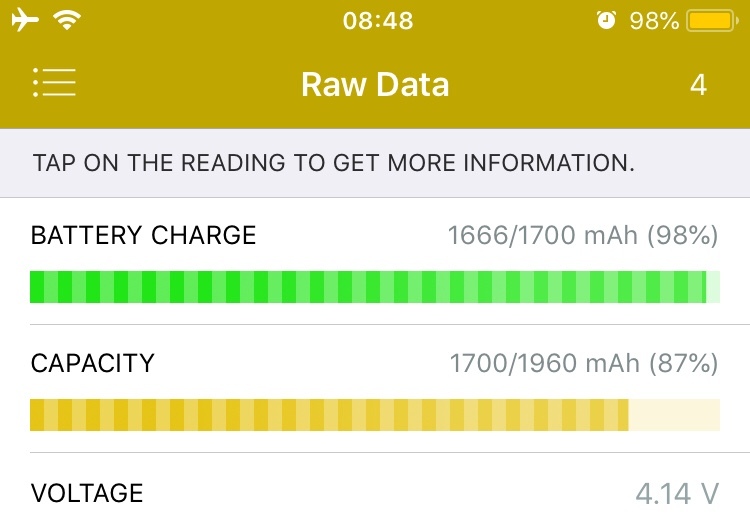 I get about approx 5 hours of (very) heavy usage on low power mode today, before I properly charged it to 100% from 3% (taking out those 20 odd minutes I set it on the charger when I went to do stuff). And yeah, I DID decide to turn off all the features I didn’t need because I didn’t see the point in keeping those on if I wasn’t going to use them. (Am assuming that the previous owner got this device at least 18 months ago and was quite a heavy user on the phone). Doesn’t really heat up, unless I really push it, which I am trying not to do. Battery doesn’t seem to be draining as such, but it probably could be running a bit better. Overall, this doesn’t seem too bad judging from these pics? Looks normal to me for one with 83% battery health. I never use Low Power Mode. It cuts my autolock to 30 seconds. I need at least one minute. I’m being especially careful today because I am away from my charging cable and my stupid charging case didn’t charge long enough lol. Auto lock is okay, I guess. Yeah. I think the lack of the home button is really confusing after being used to it on various phones for the past almost ten years lol. It takes a bit of getting used to but it didn’t take me very long. Now I find myself constantly trying to swipe up to go home on all of my other devices that still have home buttons. Wow. That must be a bit confusing. Also, even if I decided to get a plus version of the 7, it would only have approximately another two or three hours of screen on time... right? It wouldn’t really be worth worrying about right? I’ve always thought and wondered that if the screen is bigger on the plus models wouldn’t that use up the added benefit of having a larger battery anyway? I thought about that again and I guess you’re probably right. Even though you might get about another two hours(?) it still wouldn’t last as long as the Samsung phone I have (running as my Android device) because they have different displays, the Plus is bigger by .4 of an inch and different features. Wouldn’t the Taptic Engine be a beast too? Like bigger and stuff?